Are we beginning to see the unfolding of a "death curse" related to the Special Newsweek Edition entitled Bigfoot, published during November 2015? Do we have a bit of folklore starting comparable to The Sports Illustrated cover curse? 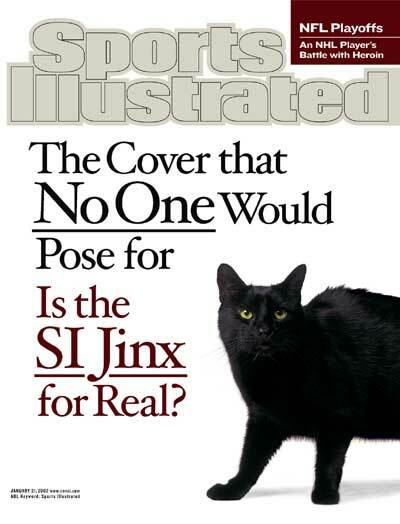 The Sports Illustrated jinx is an urban legend that states that individuals or teams who appear on the cover of the Sports Illustrated magazine will subsequently experience bad luck, including even dying. Let's look at the specific cases that have been related to deaths. May 28, 1956: Indy 500 winner Bob Sweikert was featured on the cover. Less than three weeks later he died in a sprint car crash. February 18, 1957: Basketball player Jim Krebs was killed by a falling tree during a storm in 1965 at age 29. May 27, 1957: Race driver Jimmy Bryan, who would win the Indianapolis 500 in 1958, was killed in a race crash in Langhorne Speedway in 1960 at age 34. May 26, 1958: Race car driver Pat O'Connor appeared on the cover. He died four days later on the first lap of the Indianapolis 500. March 23, 1959: Prince Aly Khan, featured in a cover story on his race horses, died just over a year later of injuries sustained in a car crash at age 48. February 15, 1960: After gracing the cover of the Winter Olympics preview issue, Soviet speed skater Gennady Voronin was hampered by injury and finished out of the medals at Squaw Valley. Troubles mounted after he also missed the 1964 games due to injury, as Voronin began to abuse alcohol. Unable to deal with the success of his wife, fellow speed skater and four-time world champion Inga Artamonova, Voronin was convicted of stabbing her to death in 1966 and was sentenced to 10 years in prison. March 28, 1960: For a story on wet fly fishing, the cover featured an array of ten images. They included a photo of the fly-tying pioneer James E. Leisenring (1878-1951) and sketches by artist Anthony Ravielli depicting world flycasting champion Johnny Dieckman (at upper right on the cover) and Vernon S. "Pete" Hidy (on the bottom row of the cover). Less than two years later, the 35-year-old Dieckman was one of 87 passengers who perished in the crash of American Airlines Flight 1. December 26, 1960: President-elect John F. Kennedy and his wife Jacqueline Bouvier Kennedy are shown sailing off Cape Cod. The president would be assassinated less than three years later. February 13, 1961: 16-year-old Laurence Owen, the 1961 U.S. National and North American Figure Skating Champion appeared on the cover as "America's Most Exciting Girl Skater". On February 15, she and the rest of the U.S. figure skating team were killed in a plane crash near Brussels, Belgium while en route to the World Figure Skating Championships in Prague, Czechoslovakia. March 26, 1962: Less than 8 months after appearing on the cover, Mexican race driver Ricardo Rodriguez was killed at age 20 in a crash during the first day of practice for the 1962 Mexican Grand Prix. Francisco fish and poultry market. November 25, 1963: Chicago Bears running back Willie Galimore was killed in a car crash at age 29 along with 28-year-old teammate Bo Farrington on July 27, 1964. January 28, 1964: The Winter Olympics preview issue marked the second cover appearance for skier Wallace "Buddy" Werner. He finished out of the medals at the 1964 games, and a far worse fate befell him two months later when he was killed in an avalanche near St. Moritz in the Swiss Alps at age 28. November 23, 1964: A year to the day after the assassination of President John F. Kennedy, the cover featured a rendering of his personal ski instructor, Helmut Falch of Austria. An accident would later leave Falch paralyzed, though he went on to win four Paralympic gold medals in alpine skiing. March 15, 1965: Golfer Tony Lema, previously featured on the 23 March 1964 cover, appeared this week in an artist's rendition. In July 1966, the 32-year-old Lema and his wife Betty, 30, were killed along with the two co-pilots when the private plane they chartered to travel between tournaments crashed in Lansing, Illinois. March 29, 1965: UCLA's Gail Goodrich is shown shooting against Michigan center Bill Buntin during the Bruins' NCAA basketball championship win. Buntin died suddenly three years later of a heart attack while playing a pick-up basketball game at age 26. December 6, 2000: Race car driver Dale Earnhardt appeared on the cover with his son Dale Jr.. He died two months later on the final lap of the Daytona 500. May 25, 2015: In an unusual twist on the curse, John Forbes Nash, Jr., subject of a biography and a film titled A Beautiful Mind, died in a car crash the week a headline titled "Chip Kelly's Beautiful Mind" appeared on the cover. The Eagles later fired Kelly on December 29, as the team was 6-9 and was well out of the playoff race. Source. 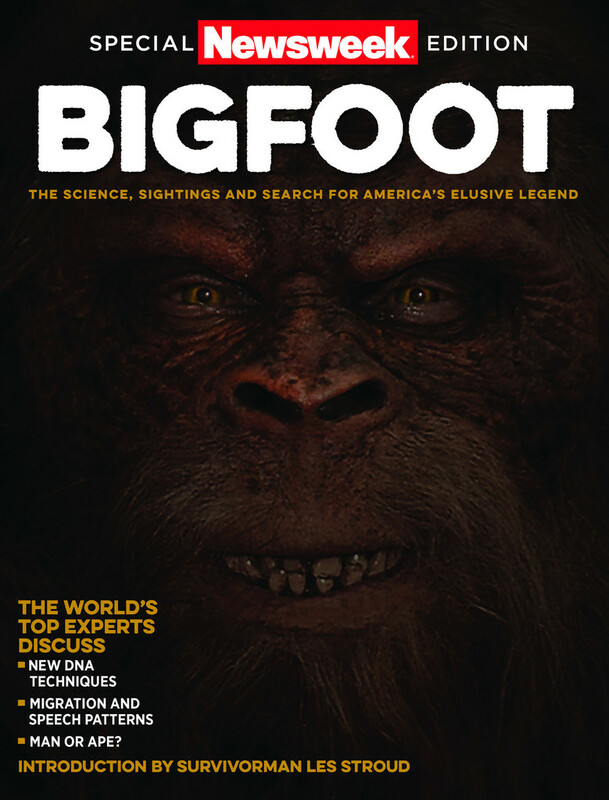 The Special Newsweek Edition, Bigfoot: The Science, Sightings and Search for America's Elusive Legend, was released around November 15, 2015, and was to be displayed until January 23, 2016. This early consideration grew out of one often-told story by John Green (born February 12, 1927), who, in writing about the Ruby Creek incident of 1941, mentioned that for “an Indian to see a Sasquatch was believed to be bad luck, in fact the observer was in danger of dying." Is there any reality to this sense of bad luck, death, and seeing a Bigfoot? The Patterson-Gimlin film footage was taken in October 1967; Roger Patterson died in January 1972. The Skookum cast was found in 2000, and Fisher and Krantz died in 2002. The Chapmans had their sighting in 1941 and died in 1959--about 18 years later - although the point Sanderson was making is that relatively soon after he interviewed them they died. The folklore lives on. People die. It is part of the human condition. Is this business about a "Bigfoot death curse" tied to special magazine exposure, a new urban legend? A curse is also called a jinx, hex or execration. Are there predictive indicators that an adversity or misfortune will befall one or more persons aligned with the study of Bigfoot?The examination of curses comprises a significant proportion of the study of both folk religion and folklore. It should be able to be studied and tested. The list of people overtly named and pictured in the Bigfoot Special Edition is finite. Is there a "Bigfoot death curse"? Here are the individuals in this issue (the page numbers are noted in parentheses). Some of the individuals mentioned in the magazine have already passed away, and that fact is noted, where known. Now you all may do your own tracking, but this is not about any kind of "death pool" game, please note. 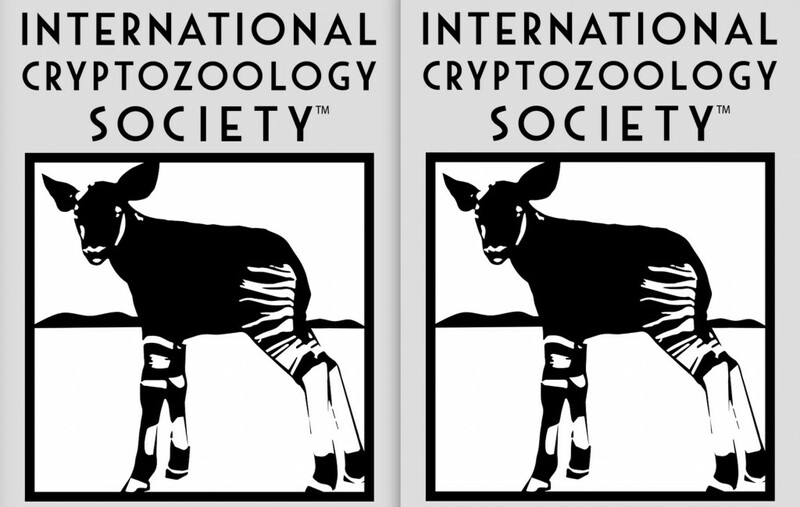 Support the expenses being incurred to move the International Cryptozoology Museum to a brand new location, with lots of parking, modern 2016 exhibition facilities, and an environment that serves the future of cryptozoology. Donate, tell others where to contribute, and engage with us in this new science to find new species. Click here. 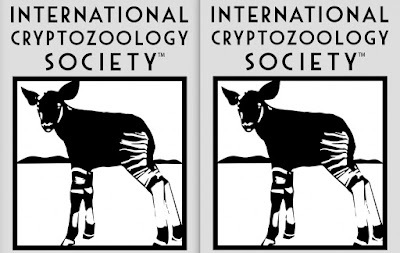 Also, come join the new International Cryptozoology Society. Be one of the Founding Members, anyone joining in 2016, of this new society.